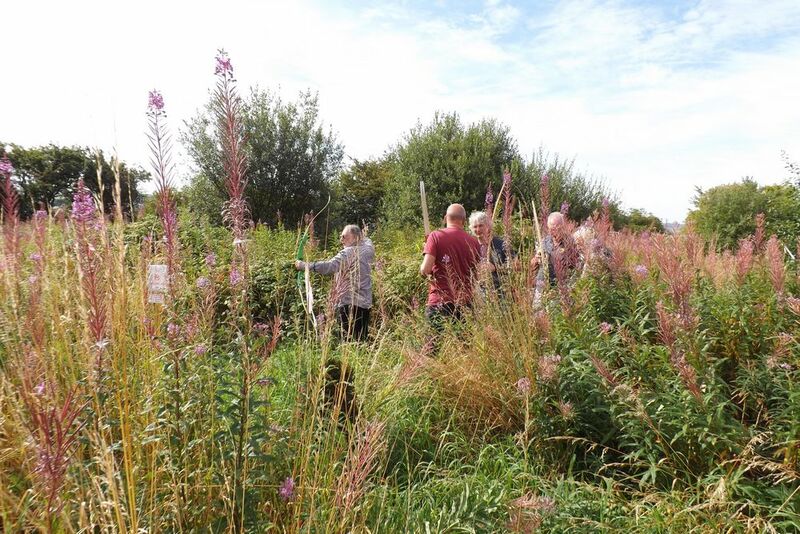 The Scarborough Archers are proud to announce that after six months of hard work by our NFAS members, the field archery course was officially opened 30th August 2015. Field Archery sounds like a leisurely stroll around a field shooting at targets. 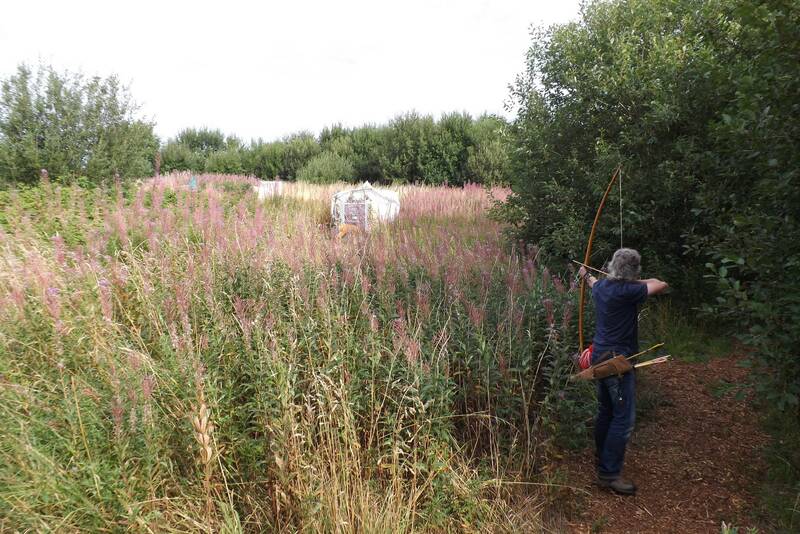 Unlike target archery usually done on flat slopes, field archery can be set in woods with steep slopes or targets that have to be shot through thick woodland. With distances varying it is very much about your own instinct. Scarborough archers use the NFAS (National Field Archery Society) sets of rules for our field archery area. Three arrows are used, which are individually coloured (red, white and blue). We use a walk-up format where the archer starts at the furthest peg from the target and proceeds to near pegs if necessary. The first arrow is shot from the red peg, using a red banded arrow. A hit in the kill zone (usually marked via a black outline), scores 20 points. A hit in the wound zone, which is classed as anywhere outside the kill zone but not on antlers or within wound lines score 16 points. If a scoring area is not hit with the first arrow the archer moves up to the white peg, for their second shot. A kill scores 14 points, a wound 10 points. If a third shot is needed the archer proceeds to the blue peg. A kill scores 8 points, a wound scores 4 points. If all three arrows miss a score of zero is recorded. Scarborough Archers do have 3D targets, but due to the time to setup if you wish to shoot at these please inform us in advance. However, they’re 2D faces on all 18 targets which can be shot at all times. A small training course maybe required before you can shoot on our field archery course, this is to show you how to safely get around the course. There will be no less than two or more than four archers shooting at one time and all must be within a group shooting at the same target before moving onto the next target.